Planned changes to the way video games are rated have sparked a row about who should be in charge of giving games their official age classification. Culture Minister Margaret Hodge has announced a consultation on whether the ratings for games should replicate the system for movies. But games makers oppose plans, backed by MPs, for the British Board of Film Classification to rate games as well. The games industry wants its own voluntary code to be made official. Under the current system the British Board of Film Classification (BBFC) only rates those games considered to have significant adult content such as sexual material or extreme violence. About 3% of all the games sold in the UK fall into this category and can only legally be sold to those aged over 18. All other games are rated under the Pan European Game Information system - an industry administered scheme. 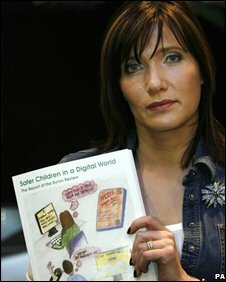 March 2008 saw the publication of Dr Tanya Byron's review of the risks faced by children if exposed to harmful or inappropriate material on the internet or in video games. In a bid to limit harmful exposure Dr Byron recommended that the rating system for games be reformed to make it easier for parents to work out if a video game was appropriate for their children. Dr Byron suggested a hybrid scheme putting BBFC ratings on the front of boxes and Pegi ratings on the rear. Announcing its response to the Byron Review recommendations, culture minister Margaret Hodge, said: "The current system of classification comes from a time when video games were in their infancy." She added: "The games market has simply outgrown the classification system, so today we are consulting on options that will make games classification useful and relevant again." Over the next few months the government is seeking responses to find out the favoured method of changing ratings and giving them legal backing. No change except for the introduction of a scheme to ensure shops and suppliers comply. But a report published by MPs on the Culture, Media and Sport Select Committee has backed the BBFC to be the body to oversee games ratings. In response to it getting a much greater role, a spokesman for the BBFC said: "There would be no problem at all taking on the extra work." He said the way it was funded meant it could add extra staff to cope if it was asked to rate a much greater number of titles. For its part the Entertainment & Leisure Software Publishers Association (Elspa) said it would prefer that the industry-backed Pegi scheme became the only rating system. "What we are asking for is the government to empower Pegi with legal backing," said Michael Rawlinson, managing director of Elspa. "We would like to remove confusion and have Pegi rate all games under the umbrella of the Video Recordings Act," he said. Parents needed to know whether they were buying a film or a game, he said. He said all the titles the BBFC rate are also currently rated under Pegi for reasons of "consistency and child safety". As more and more games move online the need for consistency of rating was paramount, he said. He said it would be "ridiculous" for video game packaging to carry two ratings. "The compromise that Tanya Byron recommended in her report was not a good one for child safety," he said.